Frankincense, Neroli and Carrot Seed. 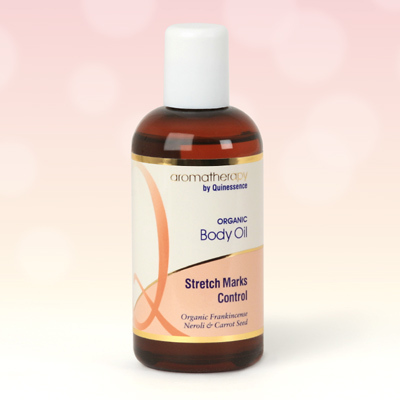 Use after the first three months of pregnancy to maintain the natural elasticity of the skin, and help prevent stretch marks. Frankincense and Neroli are skilfully combined to promote skin cell rejuvenation and leave skin feeling soft and smooth. Contains Certified Organic Essential oils of: Frankincense, Neroli, Myrrh, Carrot Seed and Galbanum in blended Sunflower, Coconut and Rosehip carrier oil. Helianthus annuus, Cocos nucifera, Rosa rubiginosa, Boswellia carterii, Citrus aurantium amara, Commiphora myrrha, Daucus carota, Ferula galbaniflua.